← Slip, Slide and Away! Do you know a real Jerk? I know one that’s really chicken, and is sometimes a hog. originally from Jamaica, now these Jerks can be found all around the world. The Jerk I’m talking about is the seasoning and ingredients used to cook various types of meat. Jerk can be cooked in the oven but is most often grilled (barbequed), this smokey cooking style dish originated from the maroons in Jamaica. If you haven’t tried Jerk yet, you don’t know what you’re missing. Not all Jerk is the same, find someone who knows this dish and get advice where to go. You can be adventurous and try to cook some yourself, learn here 1, 2, 3, have fun. There are many ways to Jerk, everyone has there own style. 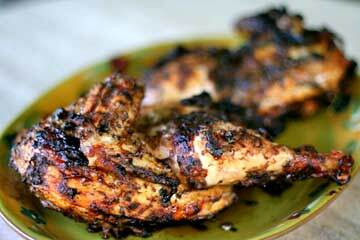 Regardless of your taste, there’s a style of Jerk sure to hit the spot. We’re in this life together: They say you are what you eat, well, I really like Jerk. So now you know a real Jerk. This entry was posted in Canada, Food, General Interest, How To, Music, Toronto, Uncategorized, Video's and tagged Caribbean, Cooking, dinner, hot, Irie, Jamaica, Jamaican jerk spice, Jerk, lunch, spicy, West Indian. Bookmark the permalink. I’ve not been to Jamaica, so I can’t say I’ve tasted “authentic” Jerk, but I do like what I’ve had on the lunch buffet at Jerk Hut in Tampa, located on Fowler just east of I-75 (in case you’re there one day). Besides Jerk chicken, they had a very spicy beef stew of some sort. One or two other entrees were not as memorable. Jamaica is a beautiful place, nice people and great food. I love food in general, and I love to cook, I’m always on the look out for new dishes. Often I’ll change up an original recipe to put my spin on it.